I've had far from perfect skin for quite a few years now! It's horrible and I hate it! Though its something a lot of people go through! I feel like it is talked about a lot but everyones skin is different so getting an opinion from everyone is great! These are a few really simple tips that i've found have helped! I am yet to completely clear my skin, in fact I don't think I will ever have perfect skin! These few things have been very helpful at reducing the pimples and redness I get on my face! 1: Drink water!!! A lot of it! I know people say that you need to have a really healthy diet if you want prefect skin and you shouldn't eat chocolate and all this other stuff! However i'm not sure thats 100% true! I think the most important thing is to make sure your body is hydrated! Drink lots of water! I go through stages where I drink heaps of water and sometimes I drink very little. It is very obvious that when I am hydrated and my skin is hydrated everything that is going on with my skin is more calm and settled! It also reduces some of the redness in my skin! I think this is the most simple thing to do! It is sooo necessary though! If you are going to take something from this post, please go and have a glass of water right now and stick to it! You will see a difference! 2: Simple Cleaning! 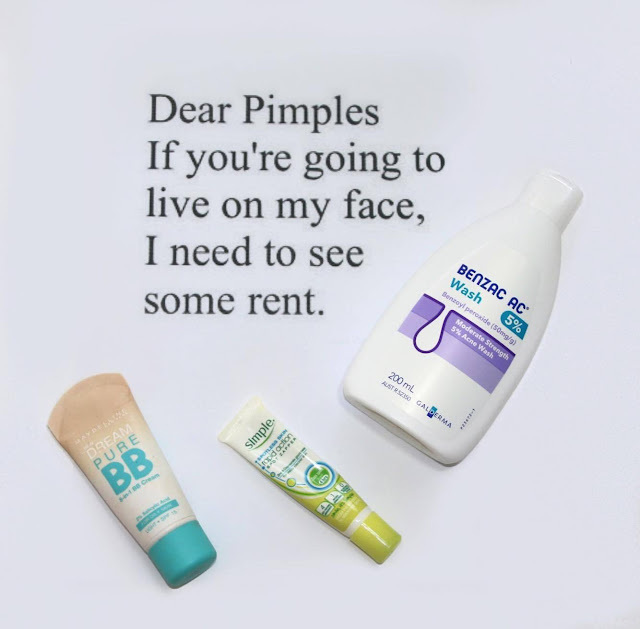 This may sound weird, but you don't need all the acne face scrubs and harsh treatments! Stick to a nice simple skin care routine and your face will be clean and fresh! 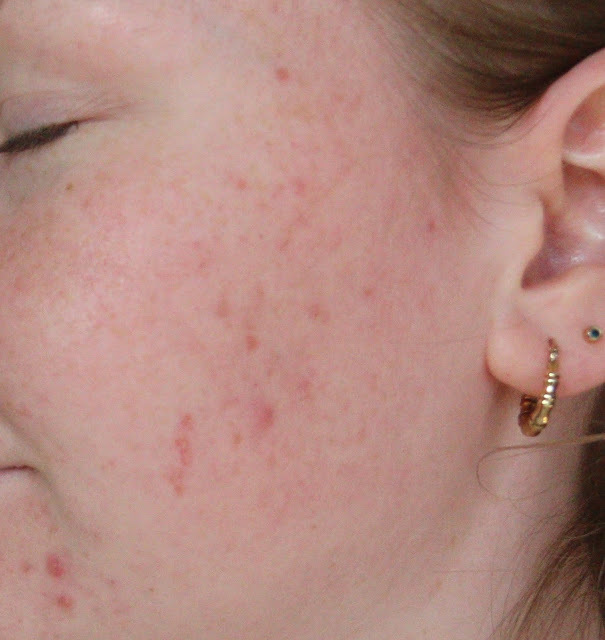 Some harsh acne treatments can make your skin worse! Especially if you over use these items! All you really need is a good face wash and a very good moisturizer! They are the essentials! These things still make your skin clean!! That's the whole purpose! 3: Deep Clean 1 day a week! If you have really bad skin and don't think the simple skin care routine is enough, then I suggest having one day a week were you go more in depth with your skin care! For me I do this on Sundays! I use a face mask and on occasion and acne cleanser. If you have really sensitive skin or you skin isn't to bad I suggest doing this once every 2 weeks or even once a month! 4: Keep your hair out of your face! Your hair should not be all over your face! This is especially important while you are sleeping! Pull your hair back so you're not sleeping in it! There is dirt and a lot of other things in your hair that should not be rubbed all over your face! So pull it back! 5: Clean your pillows! I know washing your sheets can be a real struggle but even if you don't wash your sheets every week I highly suggest chucking your pillows in the washing machine once or twice a week! All the dead skin and dirt that is built up in our pillows is disgusting! You will see a massive difference in your skin if you start doing this! 6: Don't touch your face! Just like how your pillows are really dirty so are our hands! There is no need for you to be touching your face unless you are cleaning it! This is very simple but something everyone should be doing! Don't touch your face!!!! 7: Clean your makeup brushes! If you are someone that wears makeup and uses brushes to apply it, I recommend investing in a spot cleaner! Which is a cleaner that you spray onto a tissue and you wipe your brushes over it, this instantly cleans your brushes! I do this every time I use a brush! With this I also suggest washing your brushes properly ever 1 to 2 weeks! This is so important! It gets all the dirt and excess makeup out of your brushes that the spot cleaner won't remove! If you cant find a brush cleaner, baby shampoo works great as its nice and gentle! If you use a beauty blender or face sponge you should replace these often as they soak up a lot of bacteria from your face and you can never properly clean all the makeup out of them! 8: Make sure nothing you are applying to your face is causing brake outs! Some people use a foundation or sunscreen that they have a reaction to and don't even realise because they just think its their skin! However it may be the fault of one of the products you are using on your face!